Design That Cares is the award–winning, essential textbook and guide for understanding and achieving customer–focused, evidence–based health care design excellence. 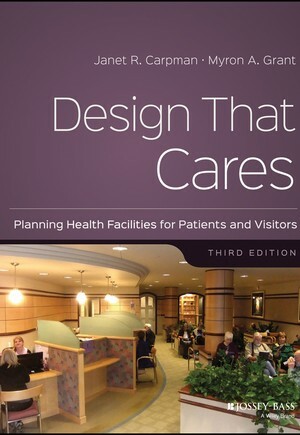 This updated third edition includes new information about how all aspects of health facility design site planning, architecture, interiors, product design, graphic design, and others – can meet the needs and reflect the preferences of customers: patients, family and visitors, as well as staff. The book takes readers on a journey through a typical health facility and discusses, in detail, at each stop along the way, how design can demonstrate care both for and about patients and visitors. The book explains the need for humanistic, evidence–based health facility design, with chapters on arrival and exterior wayfinding, interior wayfinding and the circulation system, waiting and reception areas, diagnostic and treatment areas, as well as inpatient rooms and baths. Later chapters discuss access to nature, particular user groups, such as people with functional limitations, and unique places, such as Emergency Departments. The book concludes with a discussion of user participation in health facility design and practical methods for making this happen effectively. Throughout the book, relevant research is flagged and research–based design guidelines are highlighted. At the end of each chapter, Design Review questions enable design decision–makers to knowledgeably assess documents, such as site plans, floor plans, functional space programs, and drawings, with an eye to the likely effects of proposed design features on intended users. For students, chapter summaries, learning objectives, and end–of–chapter review questions help facilitate a solid understanding. Health care organizations that pride themselves on customer–driven visions and user–friendliness can demonstrate their commitment by designing for patients′ and visitors′ needs. Design that Cares provides the definitive roadmap to improving customer experience by design. What Is User Participation in Design?